The flop sequel to cult classic The Rocky Horror Picture Show is to be adapted for the London stage. Director Benji Sperring will bring Richard O’Brien’s Shock Treatment to the King’s Head Theatre in spring 2015, with several of the original Rocky Horror characters featuring. “Shock Treatment has been waiting patiently in the wings for a stage premiere since the film was released in 1981, ” said O’Brien. O’Brien has reworked his script for its stage debut after the movie was widely panned by critics and never achieved a general release. Shock Treatment picks up directly after the original, as Rocky Horror’s Brad Majors and his new wife Janet find themselves trapped in an ominous TV game show that eerily preempts the popularity of reality television. Barry Bostwick and Susan Sarandon did not return to the sequel in their iconic roles, with Cliff de Young and Jessica Harper taking over instead. Charles Gray and Patricia Quinn did reprise their parts, while a young Ruby Wax and Rick Mayall also starred. The new stage production is set to run until 9 May and will be preceded by the 21st anniversary revival of Irvine Welsh's Trainspotting, first seen at the Edinburgh Fringe. 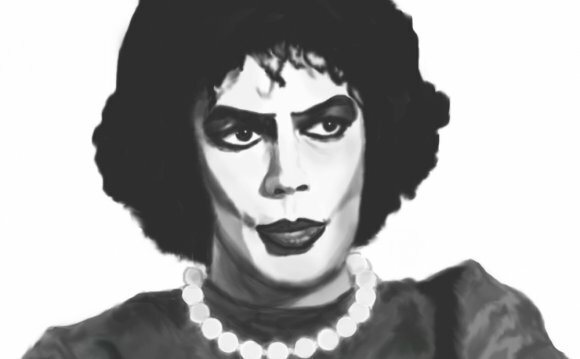 Rocky Horror Picture Show - Just a STEP to the RIGHT.